A recording of a speech Barack Obama gave at an MIT conference last week, which was for whatever reason shrouded in secrecy, has been leaked. And oh boy, it is… not a doozy. 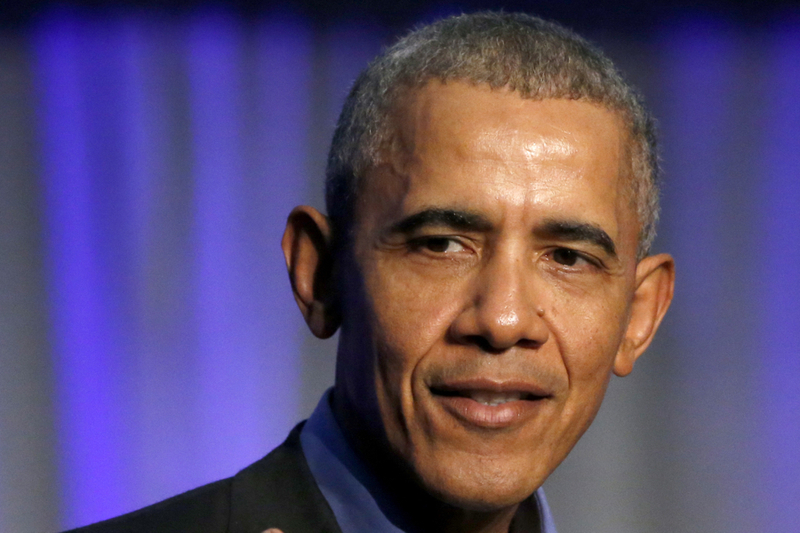 The former president said very little that might cause controversy on Friday, when he addressed 3,500 gathered at the MIT Sloan Sports Analytics Conference held at the Boston Convention and Exhibition Center. So why is everyone talking about the fact that audio of the talk has been published on the website for the libertarian magazine Reason? That would be because audience members and the press were given some unusual instructions before the event: Audio and video recording was prohibited, they were told, and any reporters in attendance were forbidden, under any circumstances, from publishing anything the ex-world leader said. Those who didn’t play ball would “be subject to removal from the conference and denied tickets to future SSAC conferences,” according to a notice sent to attendees. It seems kind of inevitable that word would end up getting out. People don’t like being told to keep quiet about what powerful people say in quasi-public forums, especially ex-presidents. But what makes it all the more frustrating is that, while interesting, the speech wasn’t controversial, and it’s hard to imagine why the former Commander-in-Chief’s perspective on issues should be privileged information. He opined on how social media is a double-edged sword (“ISIS can use that tool. Neo-Nazis can use that tool,” he said), and online polarization leaves people living in “entirely different realities” without a common set of facts, which raises questions about how Facebook and Twitter ought to be run—questions Facebook CEO Mark Zuckerberg has been grappling with recently. He made fun of Oklahoma’s Jim Inhofe for infamously holding up a snowball on the Senate floor in an effort to discredit climate science. He called for an NBA junior league, an alternative to the current system of athletes playing for no pay in the NCAA. He said addressed inequality in pay based on gender, saying managers “should be smacked across the head if you think women should be paid less,” and appeared to contrast his administration to that of Trump, by saying his team was without “a scandal that embarrassed us” even though “that seems like a low bar.” There were jokes about visiting his daughter, who’s a student at Harvard, about how the Super Bowl is a great unifier because everyone watches it, and about how he played basketball with an unidentified singer, who ended up being not that great at it. It was interesting, sure, and there were a few more tidbits to be gleaned from the speech. But nothing that would merit keeping it under wraps.